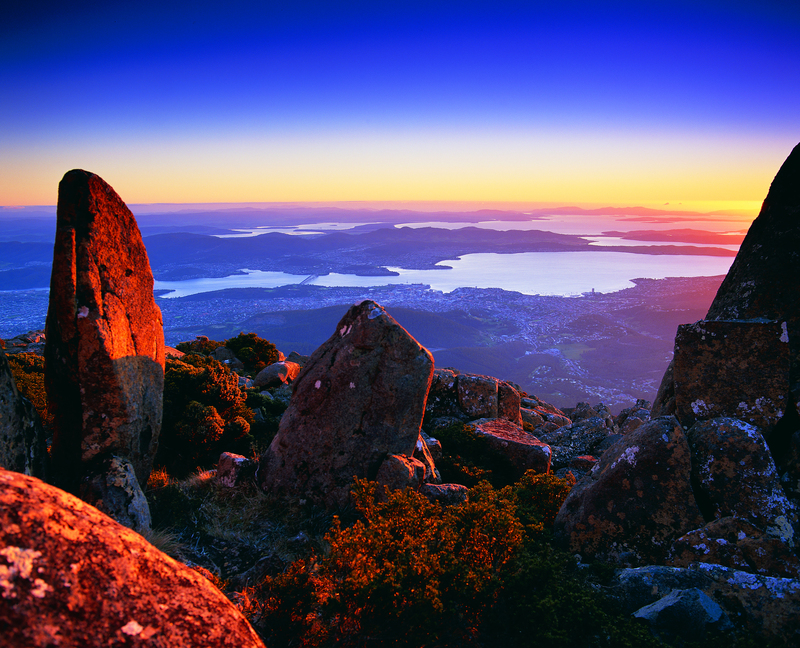 Stage 15 of the walk along the Derwent River has been completed! 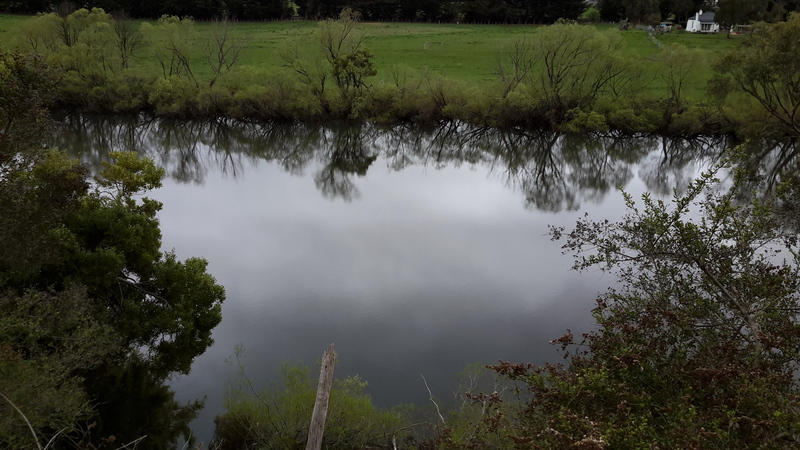 On Thursday and Friday this past week, I followed the Derwent River and walked from New Norfolk to Gretna via Bushy Park. Over the coming week I will write new posts detailing my experiences, presenting you with river and landscape vistas, introducing some of the people I met, providing information about aspects of Derwent Valley social and agricultural history as I found it, and showing you a range of animals. In addition, I hope to entertain you with instructions on how to pitch a light tent in a strong wind. I have now covered approximately 230 kilometres in my quest to walk from the mouth to the source of the Derwent. 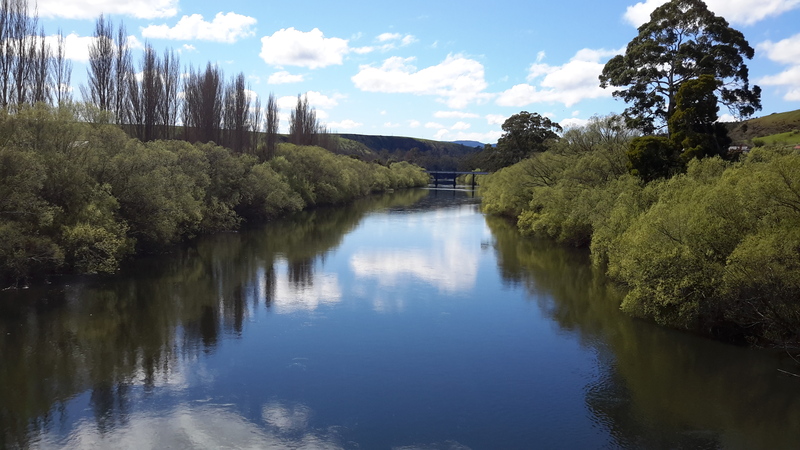 By simple measurement, I have passed approximately 87 kilometres of Derwent River. Please refer to How Far Have I Walked for further information. Please note that under Frequently Asked Questions I have added new information. As a result of my findings on this Stage 15 walk (which I will detail in later postings), I believe insurmountable problems exist that will prevent me from proceeding along the River as planned. Therefore, I will need to modify my plan yet still achieve my aim to meet the source of the Derwent River at the southern end of Lake St Clair Lagoon. On this basis I cannot say when a new Stage will be walked. This entry was posted in Derwent River and tagged Bushy Park, Derwent River, Derwent Valley, Gretna, Lake St Clair Lagoon, New Norfolk on September 19, 2015 by Tasmanian traveller. I have been thinking about your feet and body all day. I bet they are sore and stiff. Well bits and pieces. Yes I have perused the next stages on google earth and maps and wondered about the reality of getting through a lot of it. There are also streams and I see what look like rivers feeding into the Derwent that appear to have no bridges anywhere near or indeed at all. So a quiet step back and a rethink sounds like a good option. Yes there is a great deal to think about before taking the next steps. You’re well out of the estuary and into the river now. Looking forward to the next posts. Yes its strange being inland and no longer able to see familiar landmarks, but it is marvellous seeing the landscape (which I have only previously swept through in a car occasionally) slowly one step at a time.